Mitchell Tunink | Gossin Agency, Inc.
Mitch brings over 5 years of experience in financial services to the Gossin Agency. After graduating from Nebraska Wesleyan University Mitch began working in the banking industry. He then studied for securities licensing as a Registered Representative while working for a large brokerage firm. 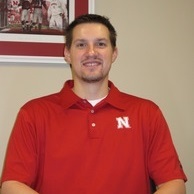 Mitch was raised in Randolph Nebraska and currently resides in Lincoln.